Google was hit with a record-breaking 4.34 billion euro ($5 billion) fine, topping the 2.4 billion euros it was ordered to pay in another case last year. 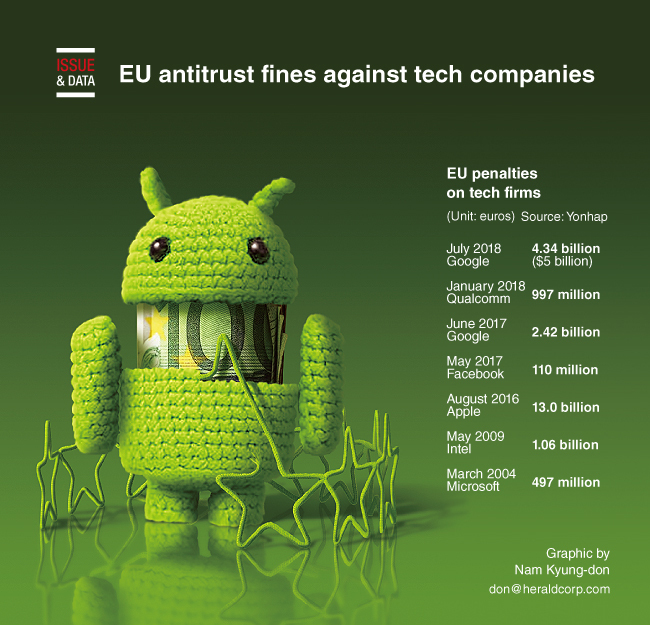 EU antitrust regulators accused the company of abusing the dominance of its Android smartphone operating system by blocking rivals. Qualcomm was also fined 997 million euros this year after the European Commission said it breached EU rules by paying Apple to use only its chips in iPhones, in an effort to block rivals such as Intel.